The Chemistry Annex was designed by James M. White and A.W. Stoolman of Champaign. 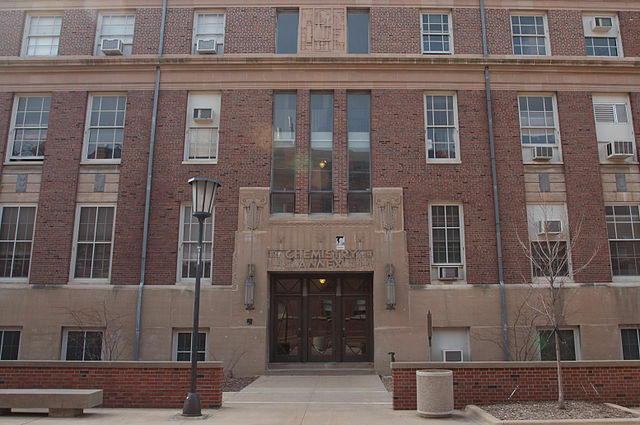 Located in Champaign, this academic building was completed in 1931. 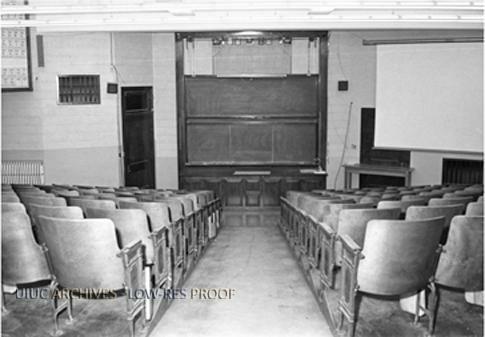 The Chemistry Annex was built because the University needed more space for the Chemistry students, and only having Noyes Laboratory was no longer sufficient. The building is connected to Davenport Hall and has a underground tunnel connecting it to Noyes Laboratory. The building is just over 80 years old and has been serving Chemistry students the entire time. Throughout the years of the life of the building, there have been improvements in both equipment and technology. Within the last year an estimated $22.9 million renovation has been proposed. These upgrades would enable the building to continue serving Chemistry students at the University of Illinois for future generations. The Chemistry Annex is a Georgian Revival and Art Deco building built in 1931. The building is located near Noyes Laboratory to provide Chemistry students with classes close proximity to each other. 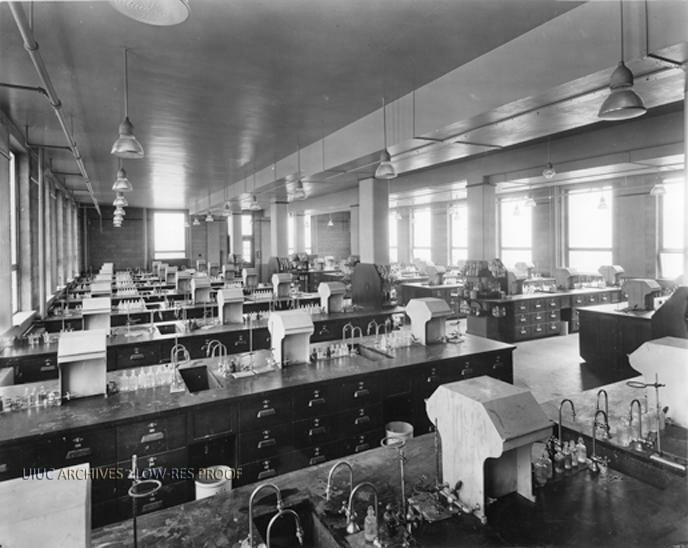 The main reason the building was built was to add around 40,000 square feet for the Chemistry Department to work with. The Chemistry Annex is an education building that provides more classrooms and labs for chemistry students. It stands four stories tall and is about 40,000 square feet. The building also has an underground tunnel that leads over to Noyes Laboratory so chemistry students can get back and forth without having to go outside. The Chemistry Annex was designed by James M White. After graduating in the class of 1890, James joined the Illinois faculty. He worked alongside architects like Nathan Ricker on several projects on the University Campus. Nicknamed “King Jim”, he was known as the Supervising Architect of the University. He is associated with about 101 buildings on the University of Illinois campus, many of them on the National Historical Register. His name is now carried on as a memorial prize that can be awarded to students in the Illinois School of Architecture. 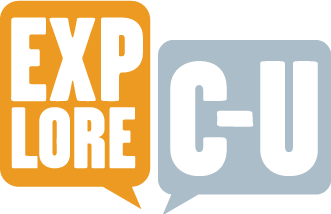 Collin Bailey, John Harlan, and Neha Navni, “Chemistry Annex,” ExploreCU, accessed April 20, 2019, https://explorecu.org/items/show/291. "Alumni Slide Show." Alumni Slide Show. N.p., n.d. Web. 18 Nov. 2013. "Chemistry Annex." Facilities and Services, 11 July 2013. Web. 18 Nov. 2013.https://illinois.edu/lb/files/2013/07/22/46565 "The Illinois School Of Architecture." Awards & Funding. N.p., n.d. Web. 18 Nov. 2013. "Local History Online." Local History Online. N.p., n.d. Web. 18 Nov. 2013. "On Campus: A Guide to the University of Illinois at Urbana-Champaign 2013-14." Issuu. N.p., n.d. Web. 18 Nov. 2013. "Renovation Proposed for Chem Annex | News-Gazette.com." Renovation Proposed for Chem Annex | News-Gazette.com. N.p., n.d. Web. 18 Nov. 2013. "Spaces in Between Places | Ratio Architects." RSS. N.p., n.d. Web. 18 Nov. 2013.